These days, the idea of shaving with a straight razor carries with it a certain mystique, as well as an air of mystery, but it is perhaps the best way to attain that gentlemanly “smooth as a baby’s bottom” look. This classic method of grooming is an art unto its own, usually left to barbers and movie characters; however, it isn’t a completely lost art. By following this guide, you too can achieve the same results with quality tools and a little practice. Note, there are many straight razor brands but we recommend Dovo straight razors and the best quality products at affordable price. 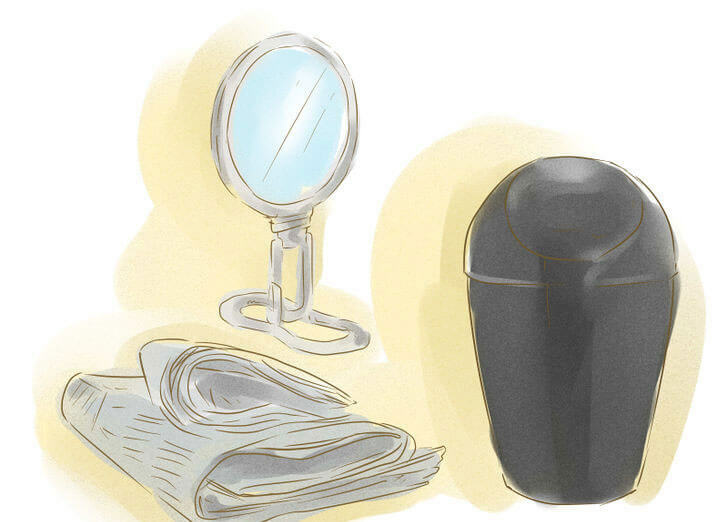 If you want a close, comfortable shave, then you can’t ignore the importance of softening your whiskers. Heat and water open pores soften hairs and make them much easier to cut. If you like to shave before a shower, wring out a towel that you’ve soaked in hot water and wrap it around your face. Your pores will loosen and your hair follicles will soften after a few minutes. 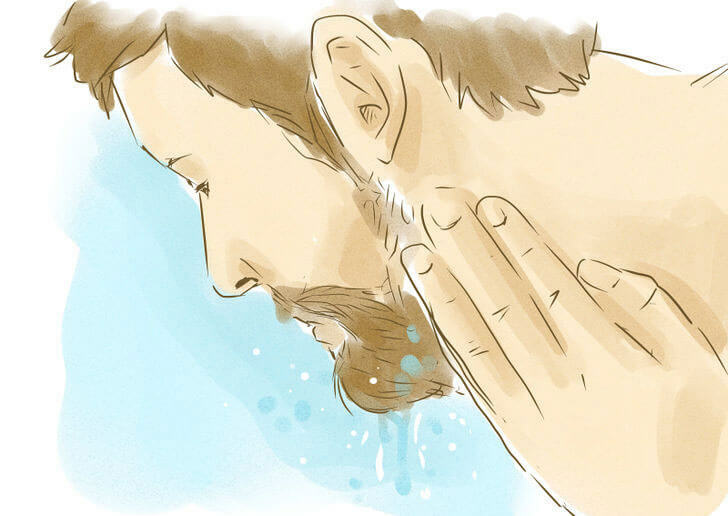 If you are a post-shower shaver, apply conditioner to your beard before you shower, and then rise it just before you get out. Wrapping your face in a hot towel is the traditional method, but honestly, just about any way that you can work heat and moisture into your beard will do if you don’t have the time. 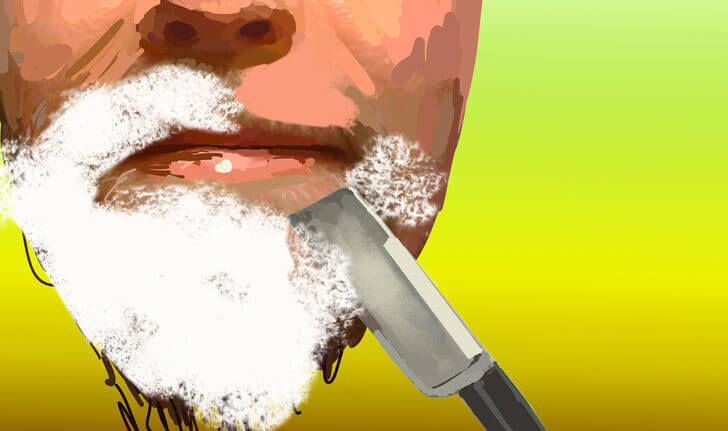 When it comes shaving with a straight razor, slapping on a canned cream won’t suffice. Place a drop of cream or shaving soap in a mug and then mix it thoroughly with a lather brush until it becomes thick and rich enough that it doesn’t drip from the bristles of the brush. 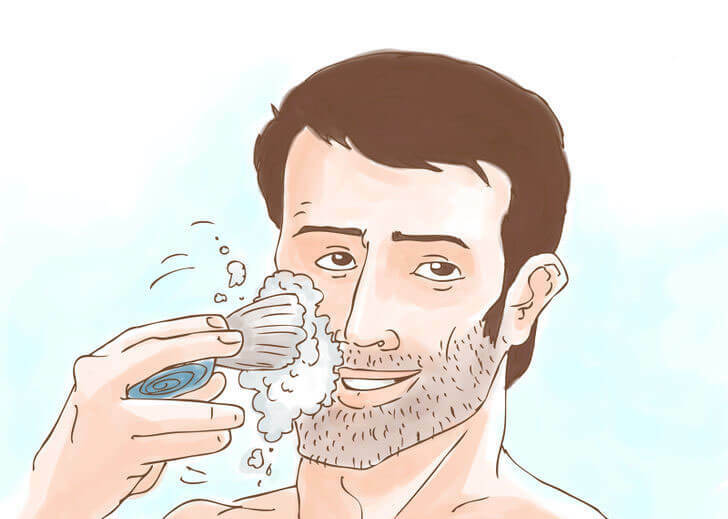 Once you have a good lather, apply the cream to your beard in a circular motion. 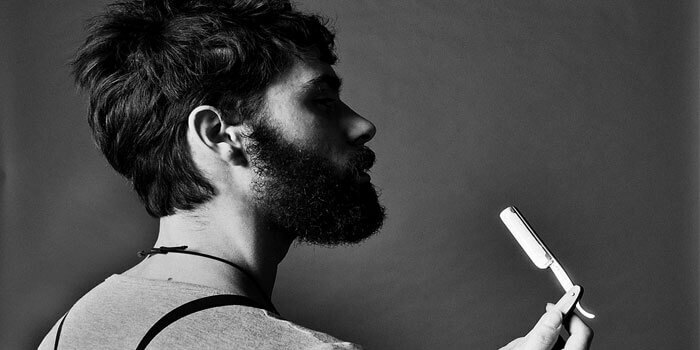 Work the lather into every hair of your beard. This will help ensure that the whiskers stand up and away from the face so that the blade can get as close to the skin as possible. Also, the lather will act as another protective barrier against the razor. When you first pick up a straight razor, you may be surprised at how foreign it feels compared to a disposable. Getting a grip on it may seem just as unnatural. But if handled with care, and with a little practice, holding this classic piece of grooming will become second nature. With experience, you’ll see that you may want to hold the razor a variety of ways (i.e. ; for a better shave under the nose), but it’s best to start with a grip familiar with just about anyone who uses a straight razor. Pick up the razor with your first three fingers on the back of the blade. Place your pinky resting on the tang ( the tail portion that sticks out from the pivot point) and your thumb on the side of the blade, somewhere near the middle. This style of grip will give you all the control you need to get the job done. If you are interested in other grip styles, the Straight Razor Place Wiki has plenty of examples. With your off hand, reach over your head and pull the skin of your cheek tight. 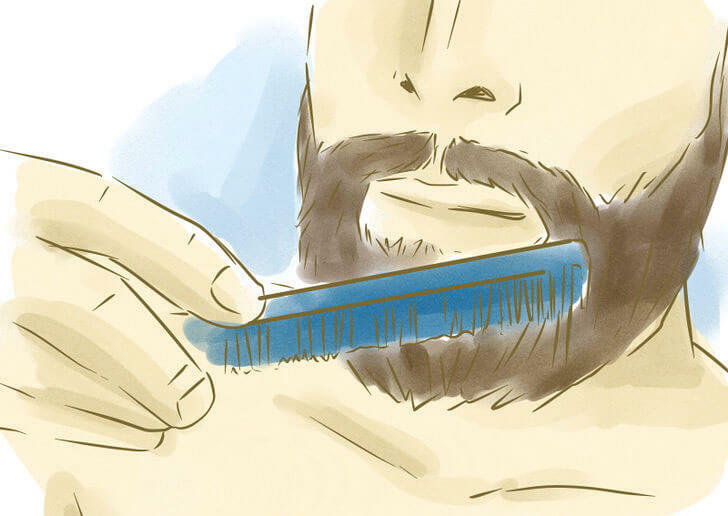 Hold the blade at approximately a 30-degree angle and then shave slowly downward with the grain of your beard. Continue the process of pulling the skin tight from various angles all around your face and neck until you have shaved everywhere your whiskers grow. Stroke speed and pressure are the two most important elements in the shaving process. Maintain slow, even strokes to ensure that all whiskers are cut as close to the skin as possible. Soon you should be able to establish a consistent rhythm that will be comfortable for both your face and your grip on the razor. Going with the grain reduces the risk of cutting the skin, razor burn, and ingrown hairs. But for men who want even a closer shave, you can shave across or against the grain, but to reduce friction, always rinse and re-lather the area. Three passes should be all you ever need to get that smooth as a baby’s bottom look. Rinsing with cold water will close your pores. After that, it’s all about personal taste. Aftershaves and lotions can help to reduce skin irritations, but for some people, these products will either cause dry skin or make the face appear oily. If this the case for you, try an all-natural aftershave balm to soothe the skin and keep it looking healthy. Let’s face it. The first time you shave with a straight razor, you’re bound to earn a few nicks. Call it an initiation rite if you wish, but expecting them to happen will improve your shaving experience. And besides, even veteran barbers will nick their customers from time to time. There are causes for reoccurring problems; rectify them and you should lessen their occurrence. The art of shaving with a straight razor may at first seem difficult to master. Take your time, find your stroke, and take care of your skin. Before long, getting the closest shave you can achieve with a blade will become second-nature. This infographic by Classic Shaving is a great visualization of straight razor shaving process.